The First White-Labeled Email Signature Generator Is Here! We’ve been working incredibly hard to bring you the world’s first email signature generator which can be completely white-labeled. A lot of our customers are web design agencies and the one feature a lot of them ask for is a white-labeled solution. Since there isn’t anything like this already on the market, we thought it would be a great idea to make this unique feature! Note: This feature is only available on the marketing/web design agency plans. 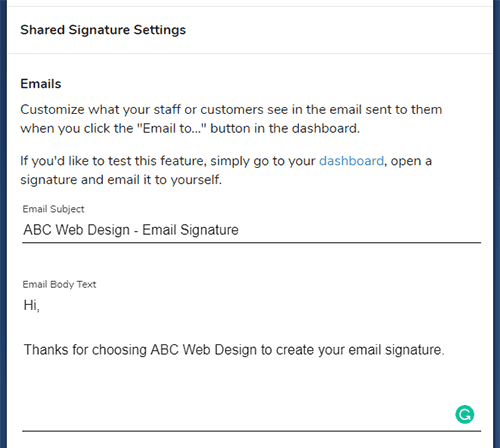 You can now customize the subject and body text of the email that gets sent to your customers when you email the signature to them. This is useful if you want to personalize the email that is sent to them or if you want to say thanks. 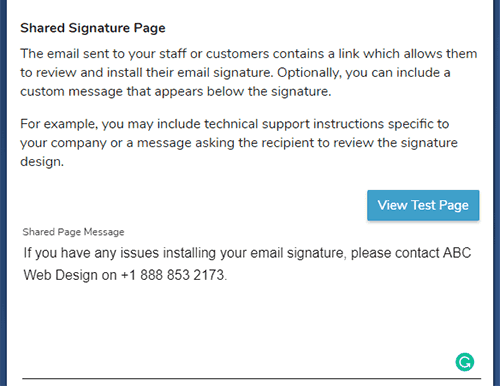 This is a great feature if you want to add a support phone number for your web design agency or some special notes for your customers to see on the shared signature page. 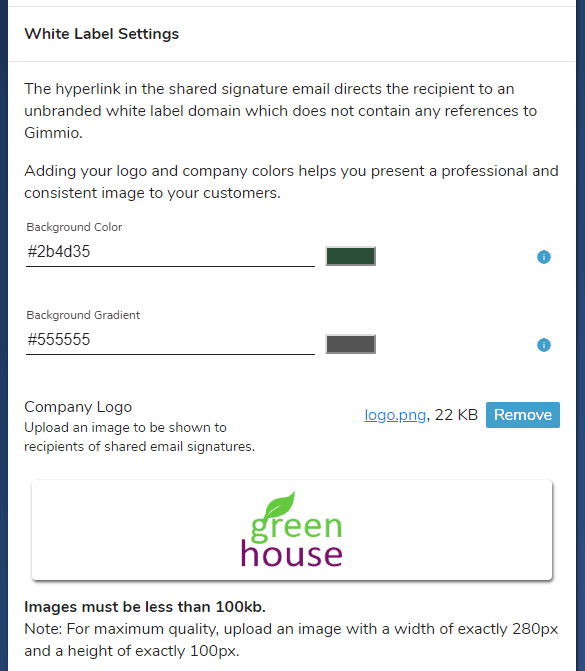 Easily adjust the background color and gradient of the shared signature page, to match your company colors. You can also upload your company logo which helps to maintain a professional image to your customers. 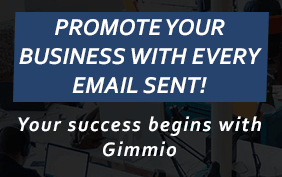 When you send an email signature to your customers it will come from a custom white-labeled domain which has no connection to Gimmio. The shared signature page will also be on the same white-labeled domain. We hope you enjoy this new feature, and if you have any comments or questions, feel free to shout out.